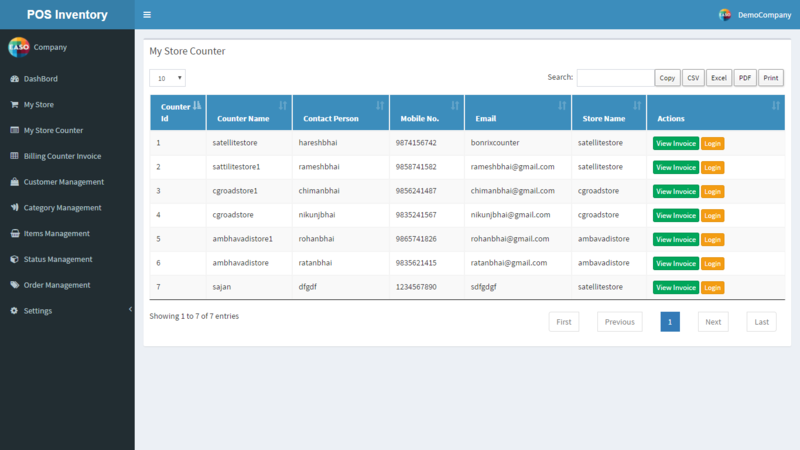 Admin Panel:- Admin is leader of the software having full access to account of his store, counter, customer. It can do any formal change in retail information of software. Company Panel:- Company have rights to access store, counter, customer panel information and can alter information on it. 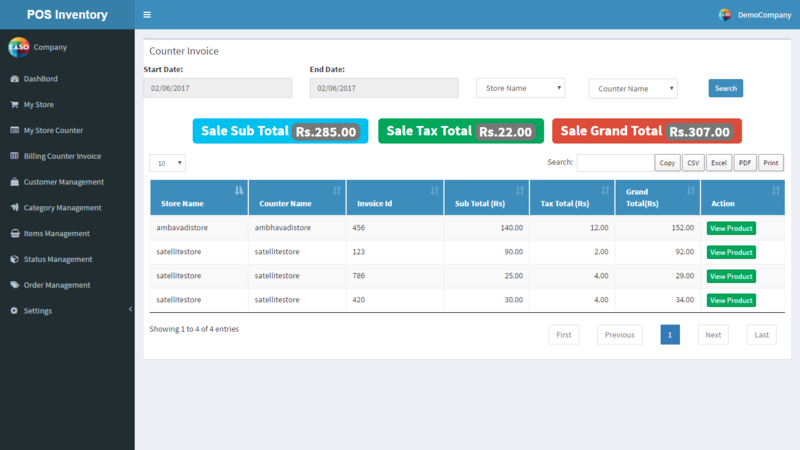 Store Panel:- Store have rights to access invoice data from any of billing counter panel and analyse any particular counter under his store . Counter:- Counter having only rights to generated invoice from front end software by selecting product order for customer. Customers :- Customer can accessing his current/previous order through android app . 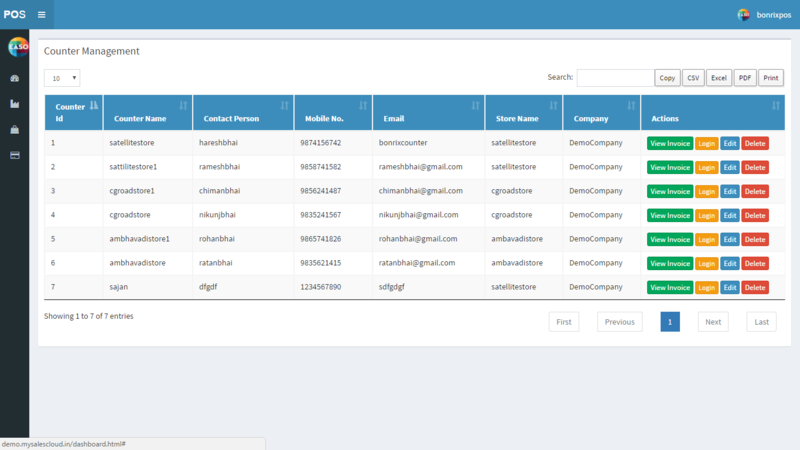 Dashboard :– Admin panel dashboard gives all abstract information of company, store, counter in admin account. Company Management:- It gives table representation of all company ‘s come under our supervision with contact person name and mobile no.It Comes with Adding new company facility with company panel login access .It can Add /View Any Store in Any of his company. Store Management:- It gives table representation of all store’s present in our company . 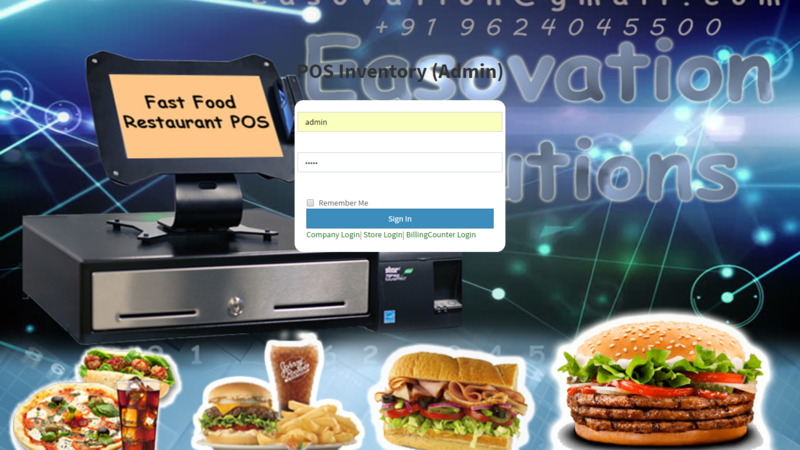 It comes with Adding counter facility to a particular store.It comes with view counter facility and login access to store and edit delete facility. 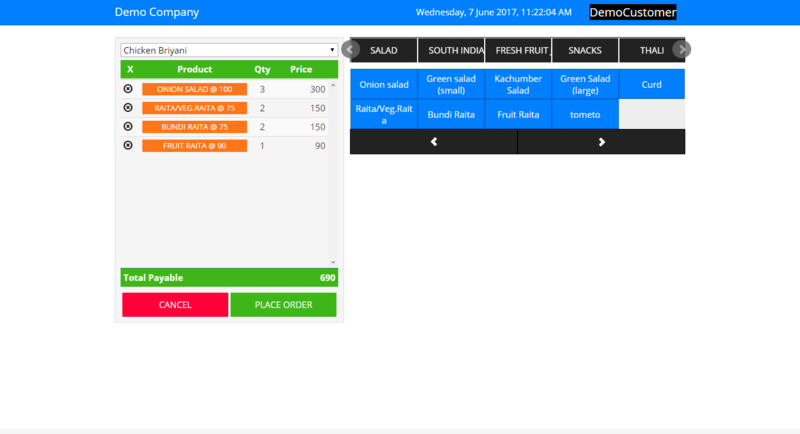 Counter Management:- It Gives table representation of all counter’s present in our store.It comes with viewing invoice made through a particular counter and login access to particular counter. Dashboard :- Its gives real time data of today’s invoice, sell cost, Tax Total, Revenue in numbered form .It provide graphical representation of Today’s sale revenue store wise . It also provide last 10 days company revenue store wise. My store:- In which person can view all store present in our company with view counter facility . It has login access to store counter. My Store Counter:- It provides view of Billing counter present in all store’s . 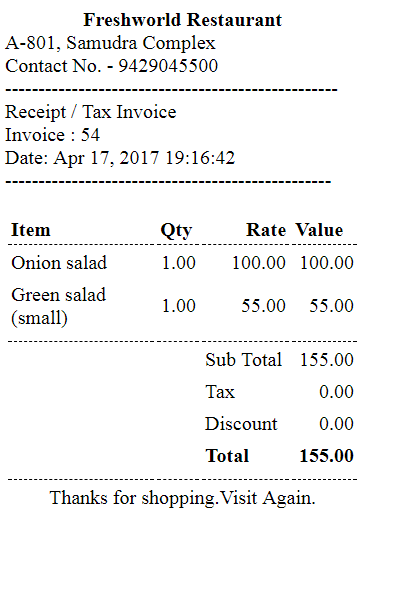 View invoice from particular counter. 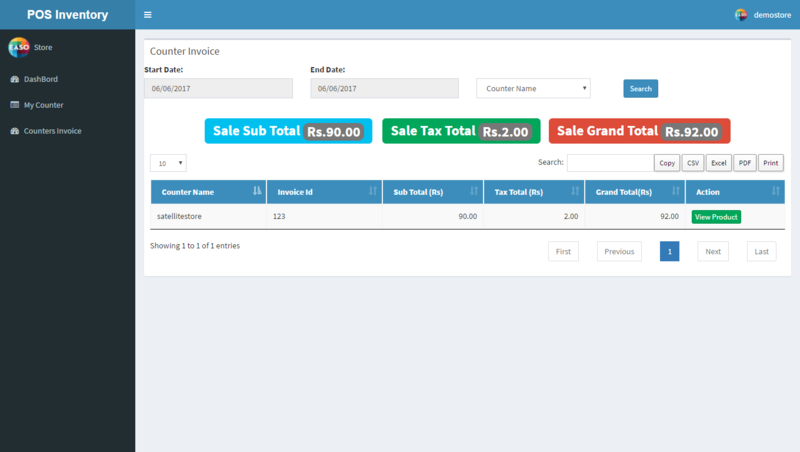 Billing Counter Invoice:- This menu comes with search option between any two dates for finding number of invoice generated from different counter from particular store. It provides information of all products from which invoice generated from different billing counter. Customer Management:- It gives data for all customer who register through android app . It comes with send sms(short message service ) and add order facility . It give (optional) login access to customer panel. Category Management:-In this person can Add, Update, Edit and delete any category of his/her company . It also comes with image upload facility. Items Management: – It comes with Adding Items to respective category of items with image upload facility .It also edit/delete facility. Status Management:- In this We can Add Any Status for order made by customer through android app. And helps on send sms to customer. 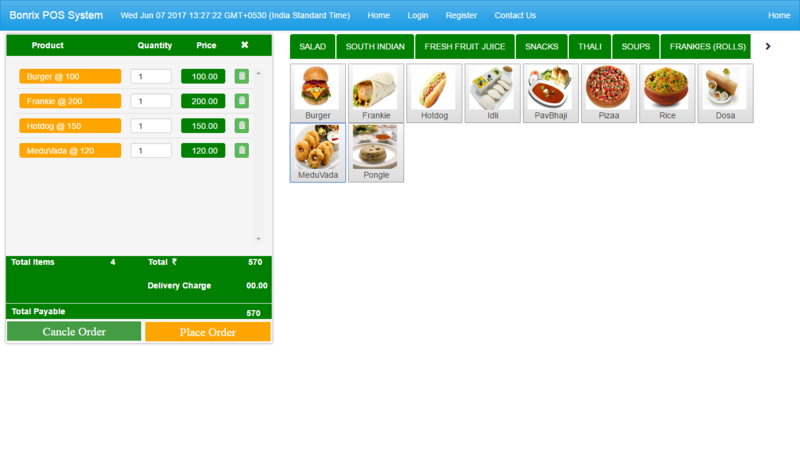 Order Management:- It provides detail information of order made by any customer through android app or order screen . It comes with edit/view order facility. In we can change the status of any order and sms will be send to customer regarding status of his/her order. It have order printing facility . SMS Template :- It comes with adding SMS format for sending sms to customer. 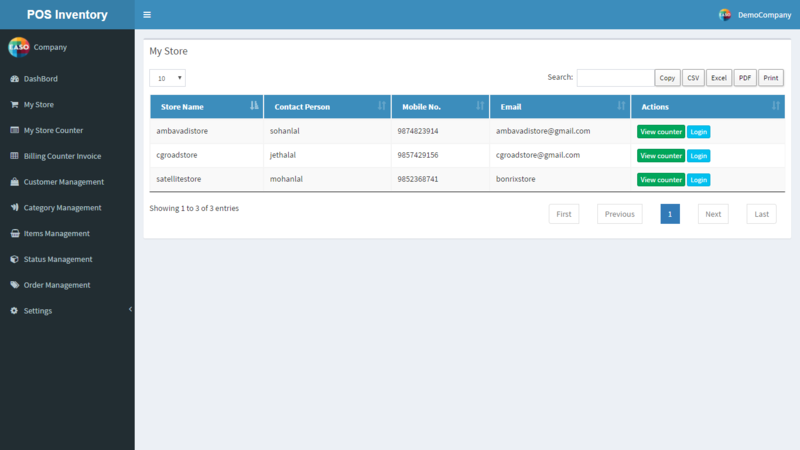 SMS URL :– An Api for sending SMS to Customer regarding current status of order . Bill Template :- An format for printing invoice for items purchase by. 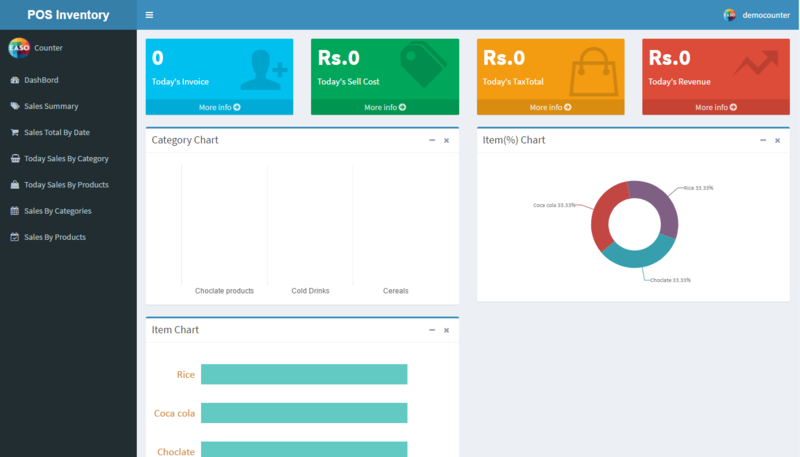 Dashboard :- It give information about today’s invoice ,sell cost, tax total, today’s revenue. It gives graphical representation of monthly revenue made by store and last 10 days revenue counter wise. My Counter: – It show details of all present in his store with contact detail. Counter invoice :- It gives invoice made from particular counter with view product facility. 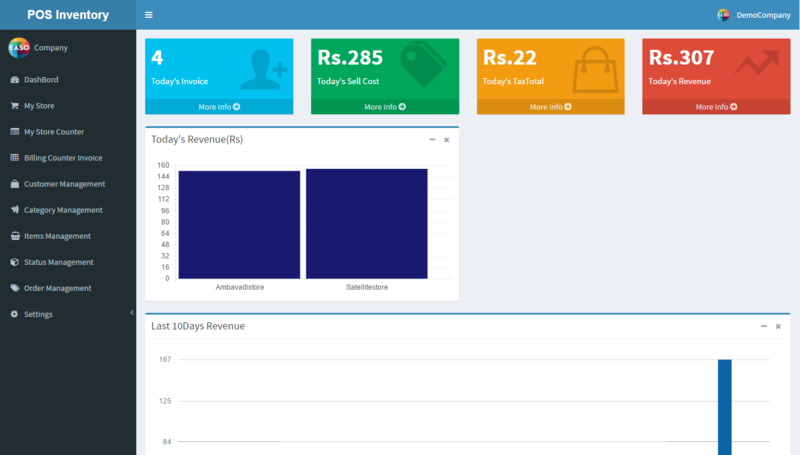 Dashboard:- It gives information about today’s invoice ,Sell cost, Tax Total, Today’s Revenue. It also gives graphical representation of Item wise sales, category wise, item(%) and last 30 days revenue. Sales Summary:-It provide information of sale between starting date and ending date with view product facility. If the sale is not or counter is close it will show zero in sale on that particular date. Sales Total By Date:- It gives information of sale date wise between starting date and ending date. Today Sales by Categories:-It gives Information of current date sale category wise with item category name. Today Sales by products:- It gives Information of current date sale item wise with item name. Sales By Categories:- It gives information of sale category wise between starting date and ending date. Sales By Products:- It gives information of sale Product wise between starting date and ending date.